The NinSheetMusic Community Performance Project (NSMCPP) is an organized effort brought to you by the NSM community to compile performances of NSM sheets, ultimately to string together in one video to upload to the official NSM YouTube channel. 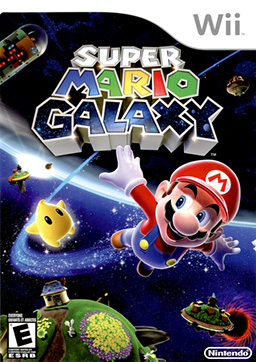 This time, we will be focusing on Super Mario Galaxy. - As you can see, a lot of the sheets we have on site are substandard. I encourage you to volunteer to fix/replace any sheet labeled orange or red. - If you would like to claim something to play, you can claim any black sheet, and possibly an orange sheet if we can find someone to fix it. - Be reasonable in your claims - there's no hard limit, but don't take an unrealistic number of songs! - I intend for the time window for this to extend into the summer so don't worry about not being able to participate because of school. - Any new SMG sheets added to the site will be added to this list and be available for claiming. If you want to arrange some SMG for you or someone else to play, go right ahead and submit your sheets! - Once you claim a song, learn, practice, and record it, and post your video in this thread. As of right now, there are no hard deadlines for when videos are due, but I hope for us to be done within several months. - There are no strict restrictions on video quality (as good as possible! ), performance quality (as good as possible! ), or instrumentation as long as the source material is a sheet on the main site. - Black - Unclaimed, and sheet is high enough in quality to print and play immediately. - Orange - Unclaimed, but sheet will need some reworking and polish before a performance happens. - Red - Unclaimed, but sheet needs either serious work or a complete replacement before anyone tries to perform it. - Green - Performance complete! This is so exciting since it really reflects what NSM is all about! I feel bad asking for a popular piece, but I'd love to do Olimar's Gusty Garden. Is that all right? Why wouldn't that be okay? xD Added. All right, cool! I won't disappoint. Egg Planet will sound so good, too. I would like to do my buoy base arrangements pls! I can play both versions of Buoy Base Galaxy. In fact, I already have it recorded! I know I'm rushing, if it's too big of a problem, I can re-record it. Perhaps one version each for you two? If Olimar's fine with it, then yes. But if you want, we can split it. I'd be willing to just do the underwater version if you want to take the other.